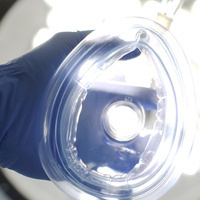 Almost all surgeries require some form of anesthesia: local, general, a commonly used type in ambulatory surgery settings called conscious sedation, and other types. What are they, what to expect before and after surgery, and what you should from your anesthesiologist before and after surgery? Waking up from surgery is an important part of the postoperative recovery period, and there is no room for making medical errors. Please come and join us with UCSF’s Dr. Denise Chang to learn more. This is a free and bilingual (English/Cantonese) lecture. All are welcome. Free prize drawing after class.